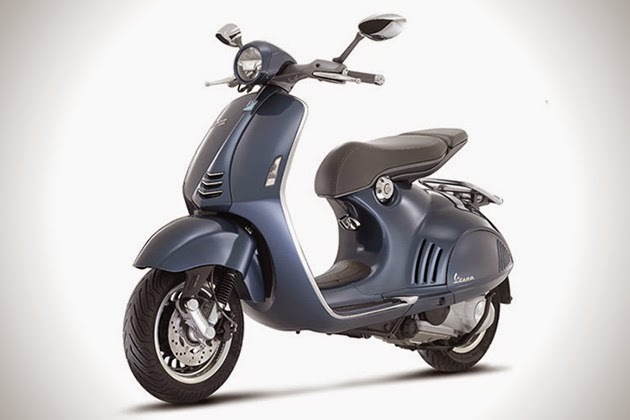 Vespa 946 is a variant of the Piaggio scooter production can be called the most exclusive and sensational with prices ranging from U.S. $10,500 (Rp. 123.5 million) or in Indonesia sold nearly Rp. 150 million. 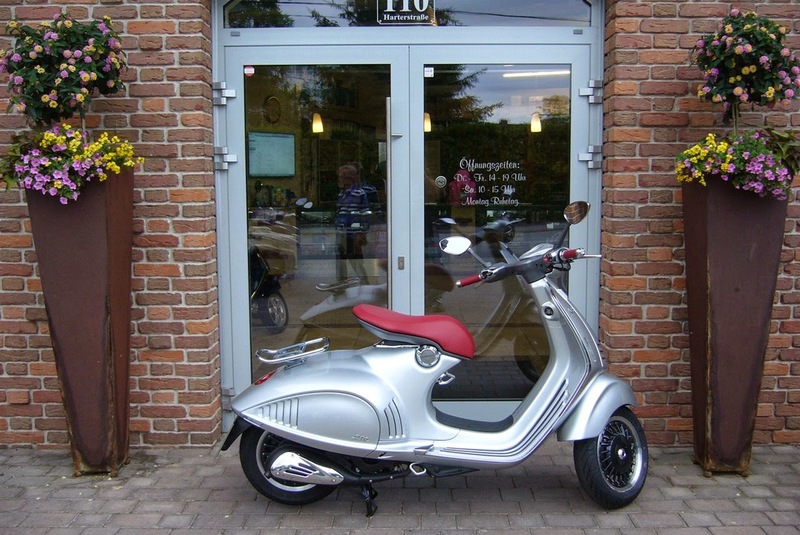 But there is more individual and selfish, called 946 Bellissima. Said, because only 100 units will be made and without pillion seat. A dynamic style of float seat is retained, only made ​​shorter. Added as a complement to the rear rack with chrome coating. Rims and given the choice of new body colors, namely metallic gray and metallic blue. And also more varied of the gas handle choice. However, Bellissima was not selfish. 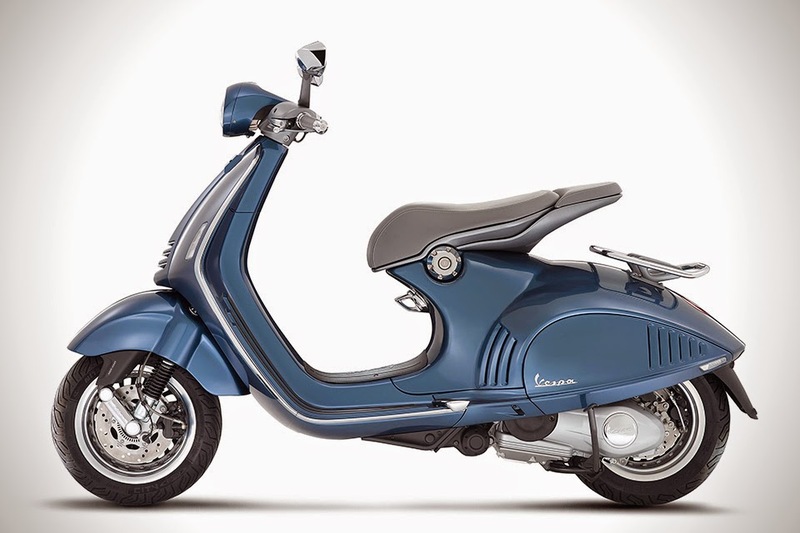 Vespa remains include a pillion seat which can be dismantled and reassembled in order to still be enjoyed of two. The fabric and the design is still the same, made in "float" style as the main seat.